Event Photos are now available under the Gallery tab. We convey our heartfelt thanks to all the Speakers, Participants, and the Organizing Team! 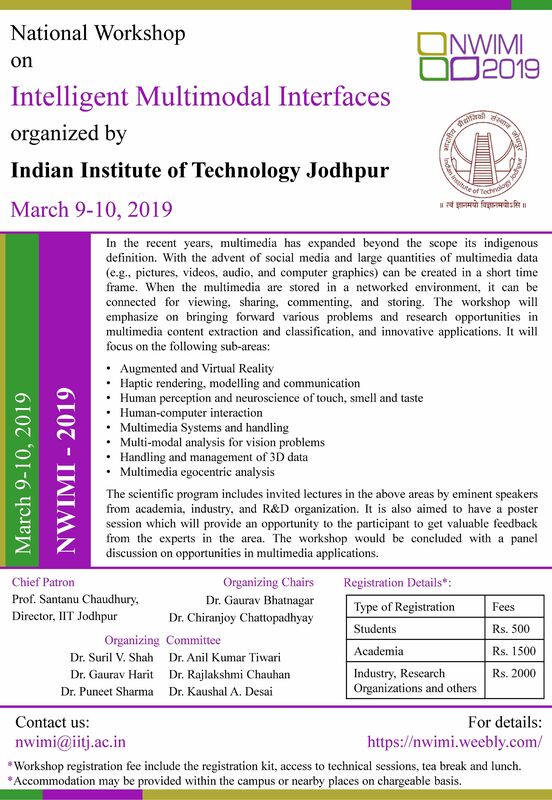 The National Workshop on Intelligent Multimodal Interface (NWIMI) will bring together the best of the minds in Multimedia Research in India together on one platform to give a flavor of the future of multimedia. 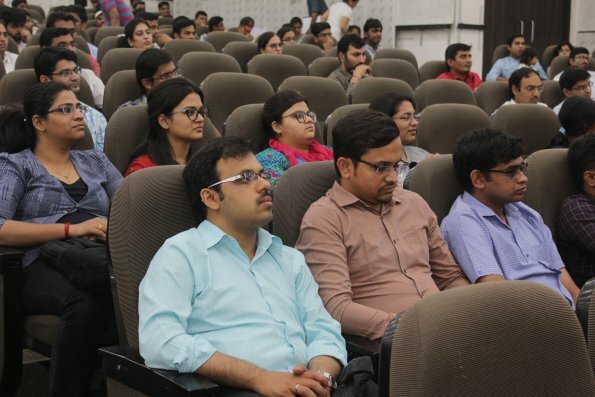 Topics like Multi-sensory Human Computer Interaction, Egocentric Vision, Haptic rendering, Augmented and Virtual reality will bring to its audience a glimpse of what is stored for us in the future for multimedia research and application. Exposing participants to the diverse field of Intelligent Multimodal Interfaces and existing challenges and opportunities. To promote research activities in the filed Intelligent Multimodal Interfaces through presentation of state of art activities in the field of Intelligent Multimodal Interfaces by experts.